STIC has been participating in workgroups that have been involved in redesigning the NYS ACCES-VR reporting requirements for over three years. The requirements are still being negotiated. When the details have been finalized, we will update CIL Data 2 to comply with the new requirements. We don’t have a timeline for this at present. New, highly flexible Satisfaction Survey consumer contact data reports. New “Race/Ethnicity by County” report. The new build is Build 166. It also includes some bug fixes and feature improvements. CIL Data 2 works over the internet with Remote Desktop Protocol (RDP)! Here are the details. Build 159: ACCES-VR Reporting Changes Released! Effective October 1, 2012, ACCES-VR required significant changes in how state-funded CILs in New York collect and report service data. ACCES-VR did not begin to make available sufficient details on how these changes must be implemented until later in October 2012. 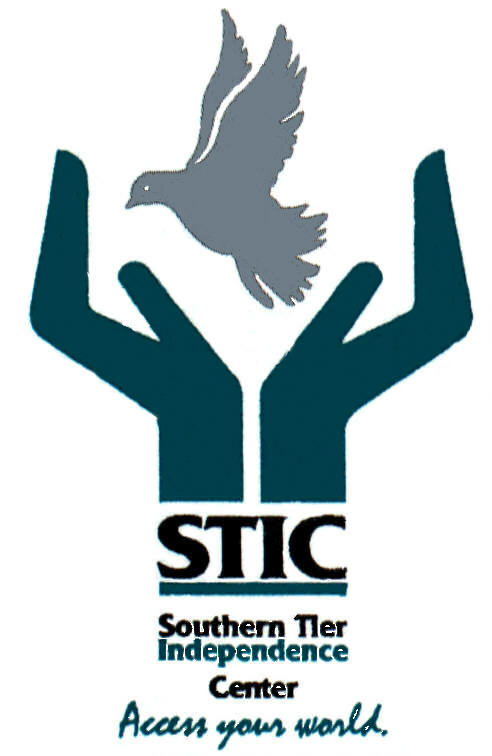 At that time STIC began communicating with ACCES-VR to obtain further clarifications in order to modify the CIL Data 2 software. The requirements were finalized in January 2013. The CIL Data 2 modifications were completed on February 21, 2013. They are included in Build 159 of the software. CILs must report all people served according to whether they were served with ACCES-VR IL funds only, funds other than ACCES-VR IL funds only, or a mixture of both. CILs must report county of residence for all people served, whether or not they have disabilities and whether or not they have CSRs or are “casual consumers”. How Does CIL Data 2 Handle These Changes? Beginning with Build 159, every People Service record entered will contain a funding source. Build 159 comes with several pre-defined Funding Sources: One called “ACCES-VR IL”, and several other Types, all of which will be reported as “Other Funding” in your ACCES-VR reports. Build 159 also has a new System Setting, “Suggest Dept. Funding Source”. This setting is turned off by default. With the setting turned off, the default value in the “Funding Source” drop-down on the Services tab in the People Window will always be “ACCES-VR IL”. If you turn this setting on, then CIL Data 2 will try to “suggest” a funding source appropriate for the user based on the Department(s) to which that user is assigned. If the user is not assigned to any Departments, “ACCES-VR IL” will be suggested. If the user is assigned to more than one Department, a Department will be chosen at random to control the suggestion. The user can always change the Funding Source to something else in the list. “Total People Served During Year”: This report now very closely resembles the table shown in Part 2, Section III of the October 2012 End of Year Report on the ACCES-VR IL Toolbox website: (www.acces.nysed.gov/vr/lsn/ilc/yrendrpt12.htm). “County(s) Served”: This report now very closely resembles the table shown in Part 2, Section V of the October 2012 End of Year Report on the ACCES-VR IL Toolbox website: (www.acces.nysed.gov/vr/lsn/ilc/yrendrpt12.htm). There is now a fourth “Report Level” in the Standard Reports: “Pre-Oct 2012 State”. These are the State reports as they existed prior to October 1, 2012. You can use them to get accurate historical data. Do NOT use them to submit data to ACCES-VR for FY 2012-13 or later. In the Identification Area of the People Window (the area between the search controls and the tabs), there are now a State textbox and a County drop-down list. ACCES-VR reports will ONLY use these Identification Area values for County of Residence from now on (See “Reports”, below). CIL Data 2 will copy State/County data from the person’s Personal Address to the Identification Area when you enter a new address or edit an existing one. The first time you display any People record after installing Build 159, CIL Data 2 will try to display State/County values from an existing address in the Identification Area. If it succeeds, then the data will have changed and the record can be saved. It will be saved automatically when you close the People Window or navigate to another record, like always. If the person has no Personal Addresses you will have to manually enter a State, and, if the state is NY, a County, in the new controls. If a person has no Personal Addresses, but is linked to an Organization that has an address, the system will not automatically transfer State/County values from an Organization Address to the Identification Area. You will have to manually add that information in that case. So, you will only need to manually enter State/County information for people with disabilities who are “casual consumers”, family members/significant others, or nondisabled people, for whom the system does not already have a Personal Address. The new ACCES-VR reporting rules state that the total number of people served under all Funding Source categories must equal the total number of people served across all Counties or States. This means the reports cannot include any person who does not have at least a State appearing in the Identification Area of the People Window. This has implications for several reports, not just the “County(s) Served” report. Lines F (“CSRs returning...”) and G (“CSRs started (new)...”) are NOT explicitly affected. The reason for this is that CIL Data 2 enforces a full address for all people with CSRs. Every person with a CSR who was served during the reporting period will be counted in one of these lines. This means that the “Total Funding” number for A.1. Total CSRs will not equal line H (“Total CSRs served...”) unless you have, at least, viewed every record for a person with a CSR who was served during the reporting period (thereby causing address data to be saved to the Identification Area State/County controls). Be aware! Line I (“Businesses/Agencies served”) is not affected by these changes at all, since it doesn’t count individual people. “Individual Services - Number of People Served”: Only people who have at least a State recorded in the Identification Area of the People Window will be counted for this report. Unlike the old “Counties Served” report, it only displays individual counties in New York; for all other states it displays a total for the state, regardless of whether that state is contiguous to NY or not. Only people who have at least a State recorded in the Identification Area of the People Window will be counted for this report. The new County of Residence requirements impose a significant problem for CILs: In order for people who received services to be counted, the system must have a State (and for NY, a County) of residence recorded, regardless of whether they are people with disabilities or not, have CSRs or not, are “casual consumers” or not. Even people with CSRs will not be reported properly until you have viewed their records to force data from their Personal Addresses to be copied to the Identification Area of the People Window and then saved. To make this process as painless as possible, CIL Data 2 now has a “Missing Data Report” option in the Reports Menu. This option is available only to System Administrators and to users who have the EDIT ALL permission. This report allows you to find records that are missing any of several types of information and instantly display and correct them. It is not limited to items newly required for the ACCES-VR October 2012 reports, but it certainly will let you find the records of every person served during the reporting period who doesn’t have a State or County recorded in the Identification Area so you can add that information. Note: When you use this feature to find records that are missing Identification Area State/County data, and display the records in the People Window for editing, if the person already has a complete address in the system, this will cause the Identification Area State/County controls to be filled with address data and disabled. This doesn’t mean there was an error in the search feature; when the search was done those data fields were empty. They were filled at the time you viewed the record. When you close the People Window, those values will be saved. Reports not specifically mentioned here have not been changed. This includes all of the Federal reports, some of the State reports, and all of the previously-existing Agency reports.